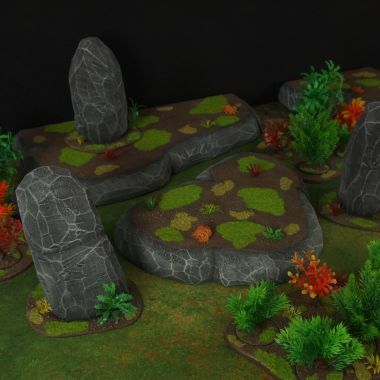 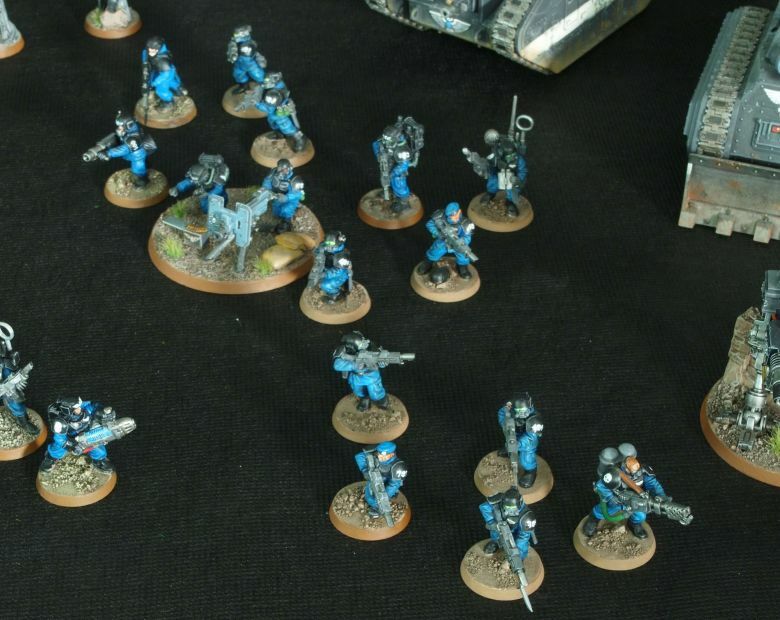 19 light Infantry figures (incl. 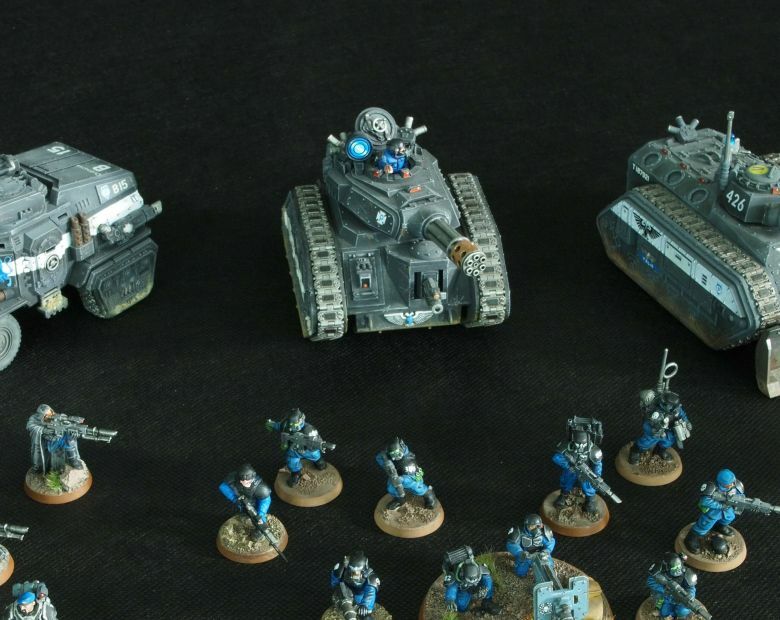 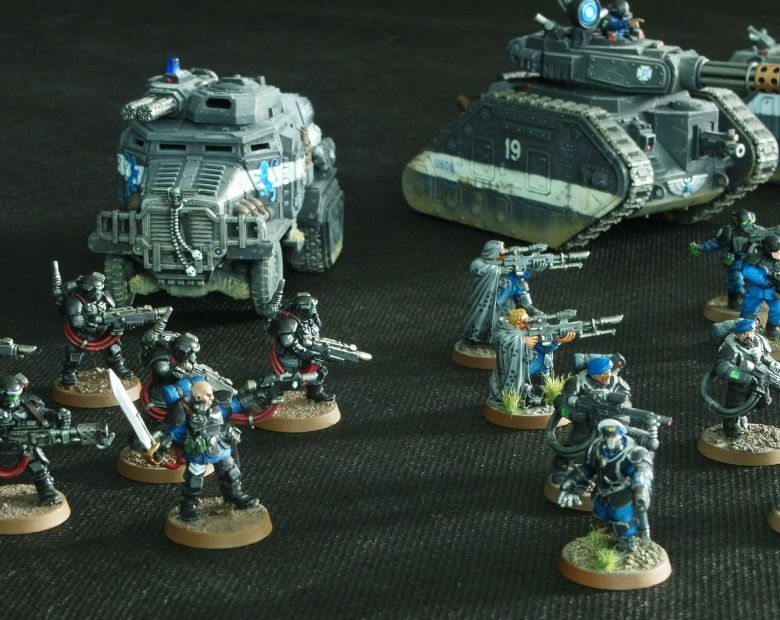 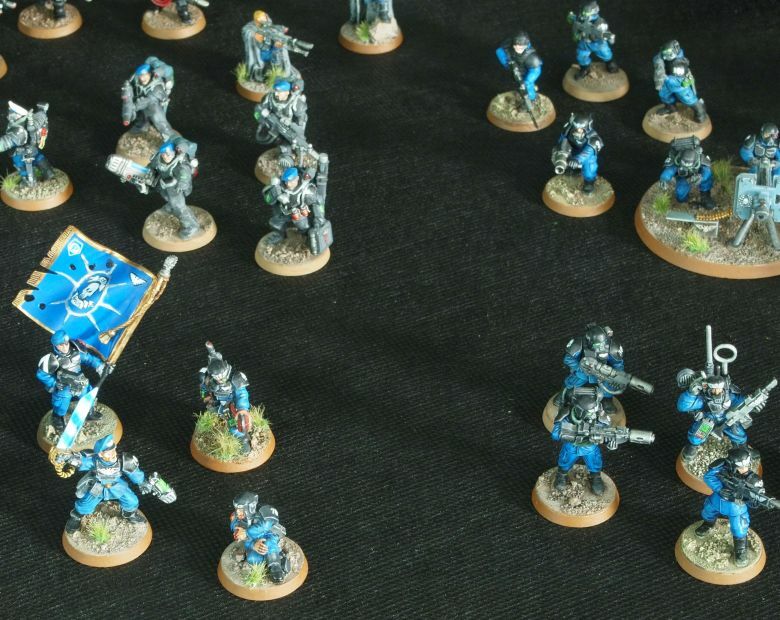 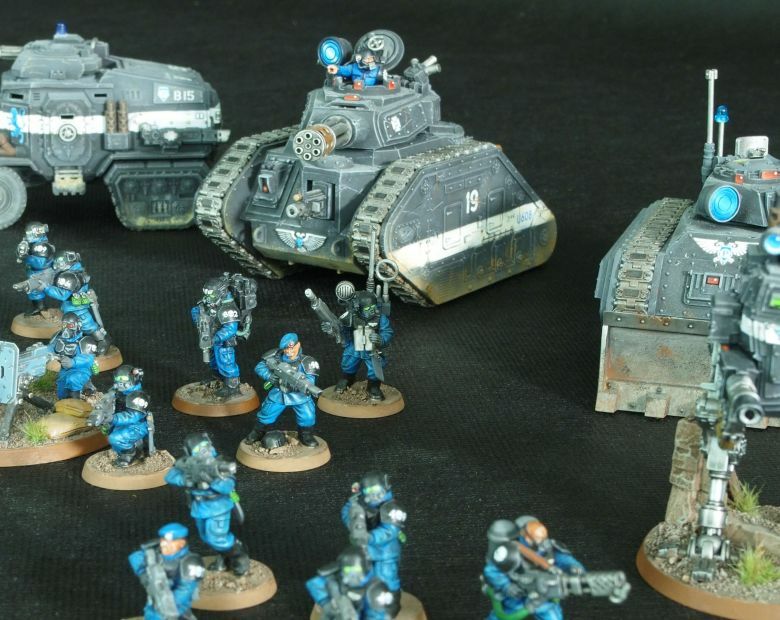 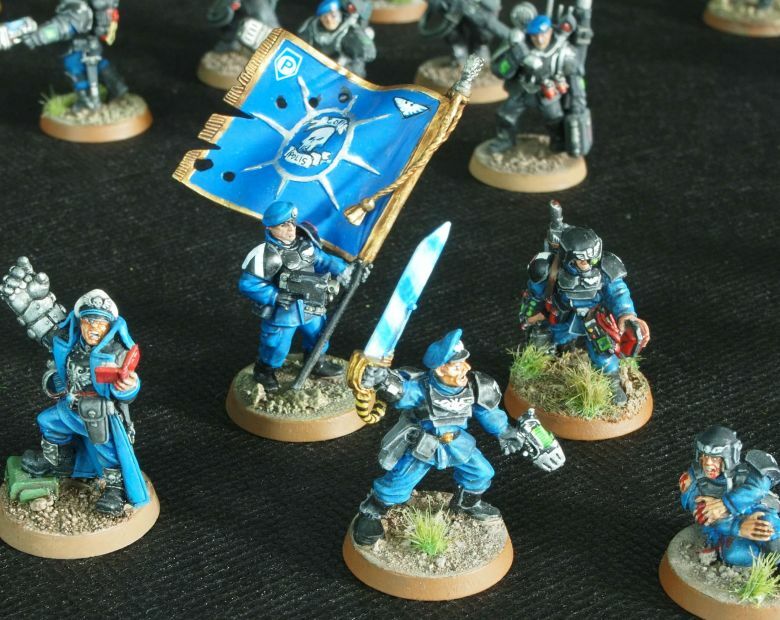 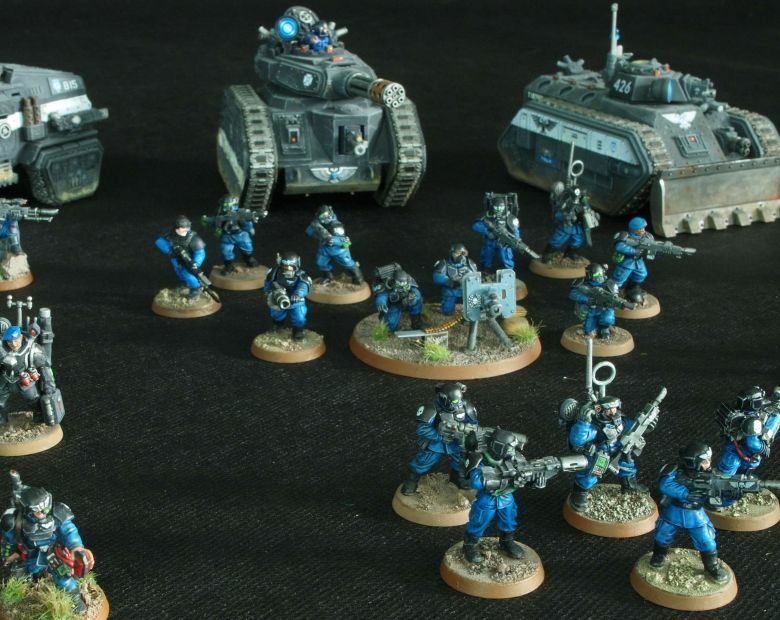 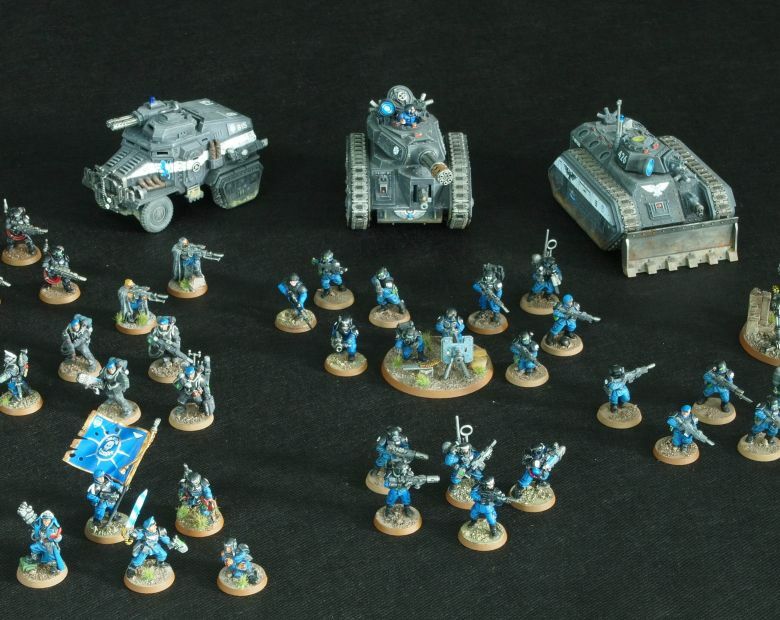 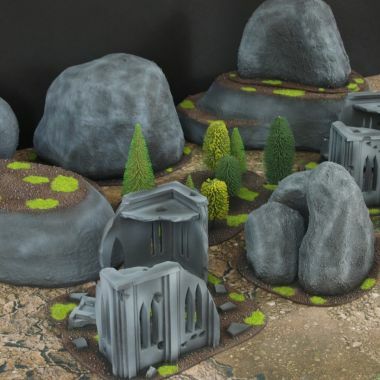 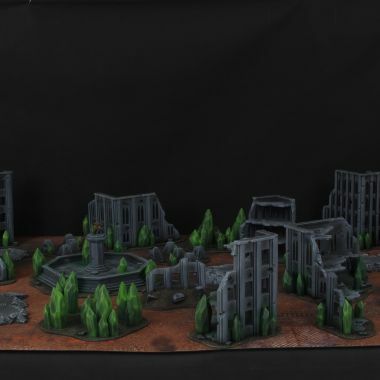 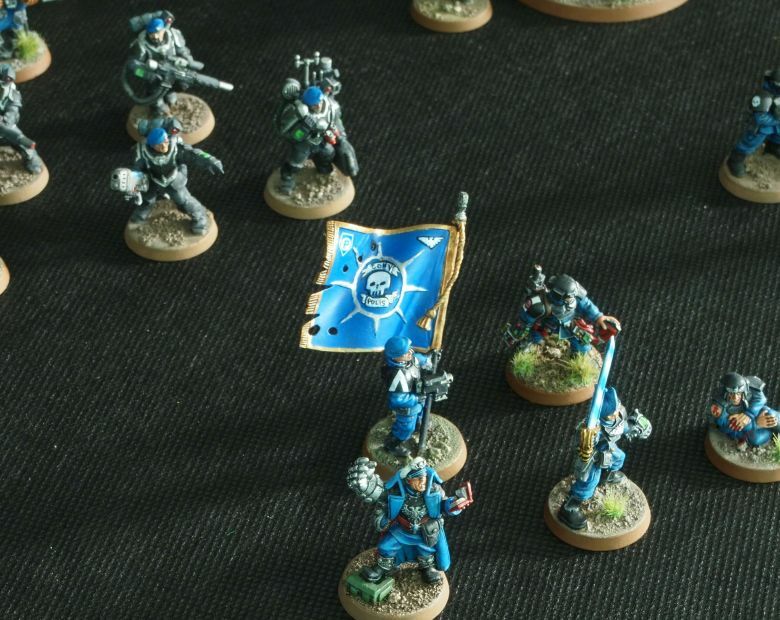 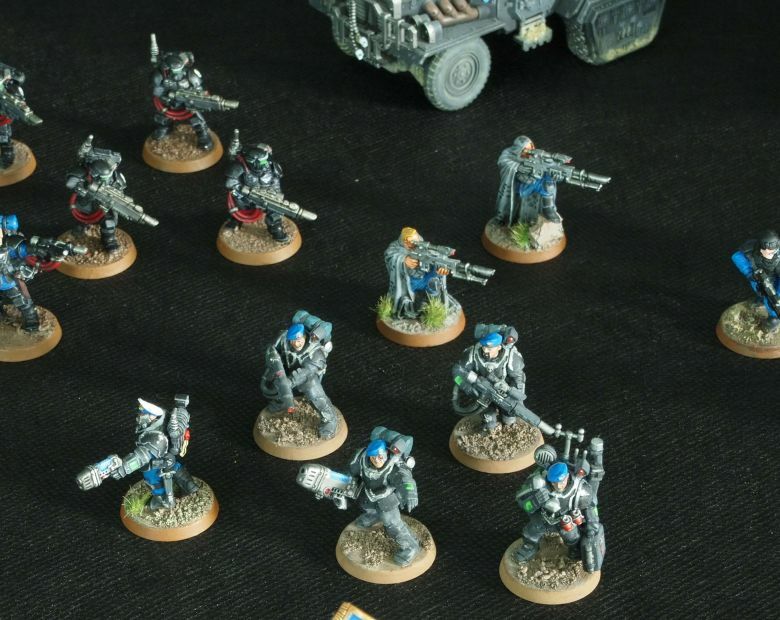 metal Cadian lieutenant with power sword, 1 flamer, 2 meltaguns, 1 plasma gun, 1 grenade launcher, 11 have Forge World resin heads with respiratos, 2 have dangerous enviroment backpacks, some have Militarum Tempestus heads with blue berets, 1 figure carries a VOX-backpack). 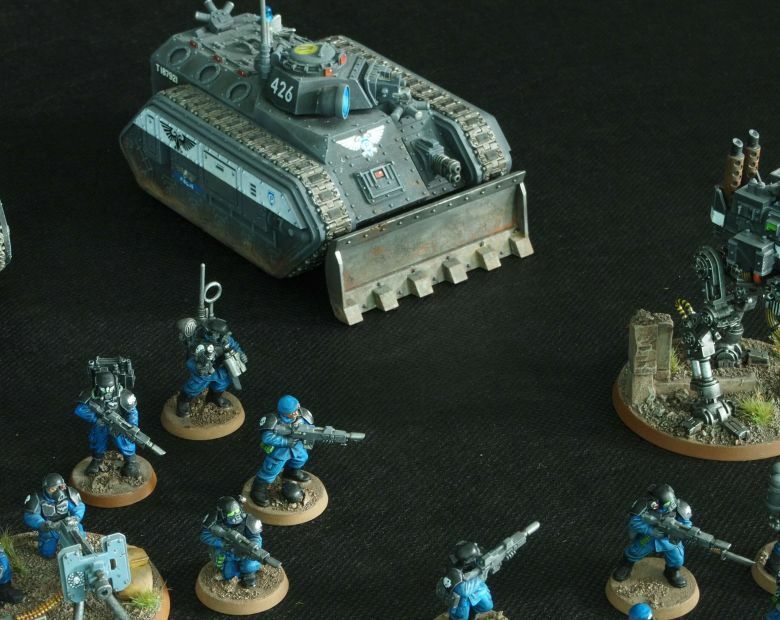 1 Leman Russ Punisher tank with converted crewman.